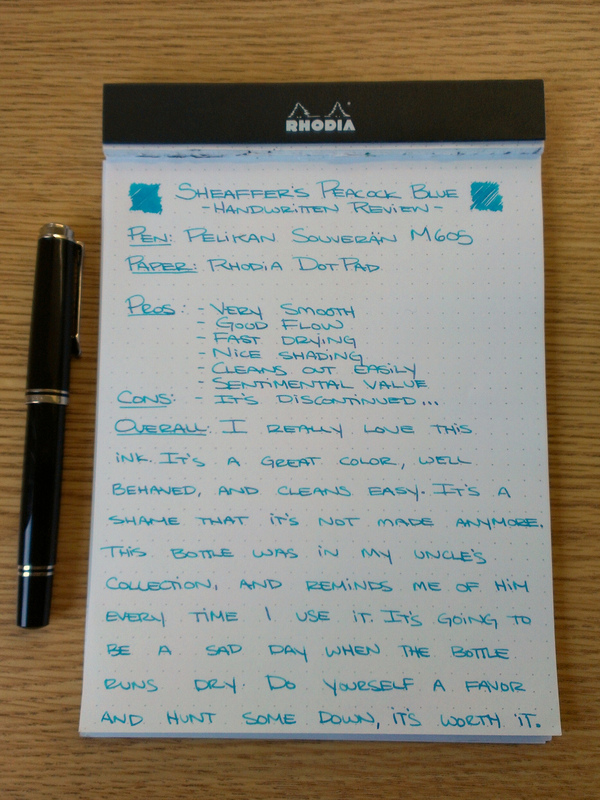 Notes: I inherited this ink along with my Uncle’s collection of fountain pens. 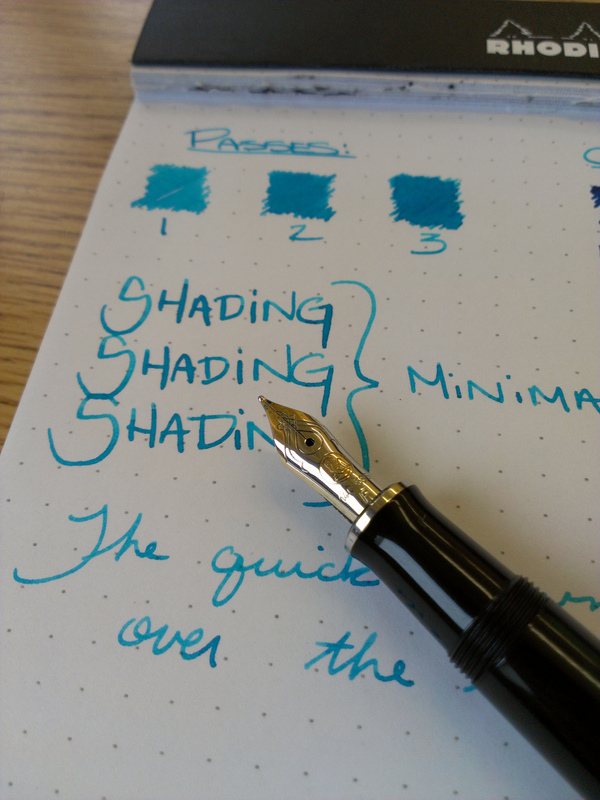 I really love this ink. I may be slightly skewed because it has sentimental value to me, but whatever. It’s edjelley.com, not stufforotherpeopole.com. It’s going to be a sad day when I run out of this stuff. 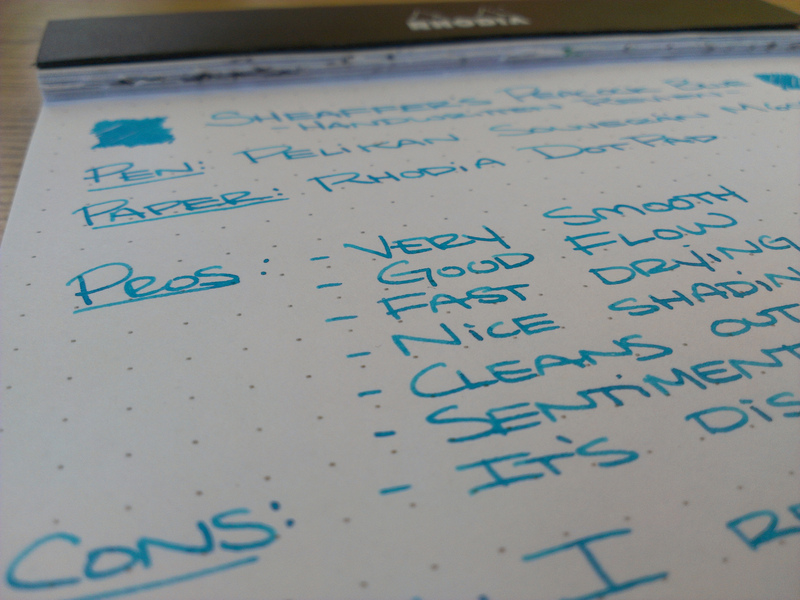 It’s well behaved, cleans out easily, and most importantly, it reminds me of my Uncle. Check out the review. 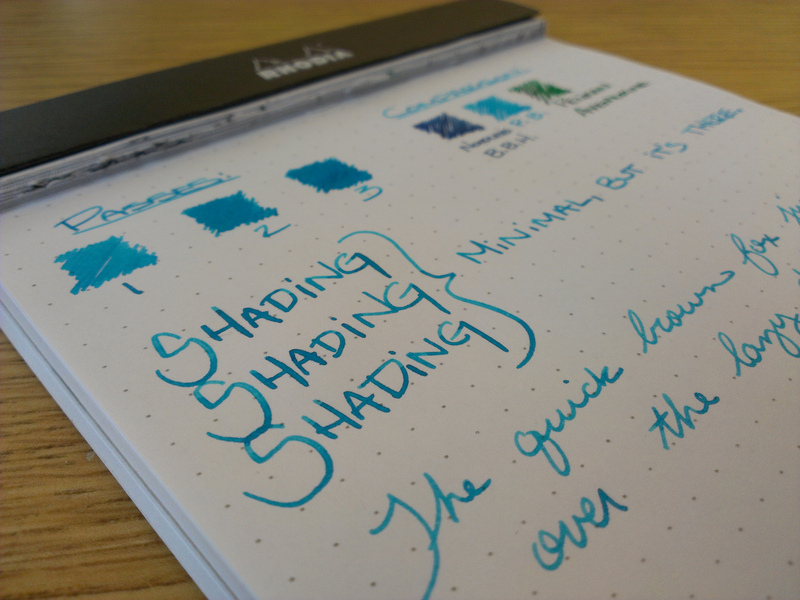 If you’re into light blue / turquoise ink, this is definitely worth tracking down a bottle of. 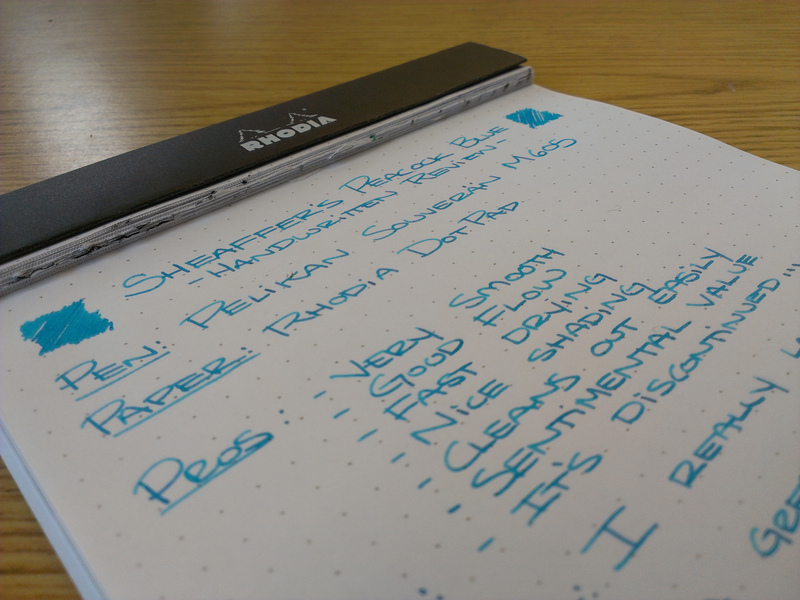 I really like this ink in my Montblanc 149 (seen in the header image) and in my Pelikan M605. 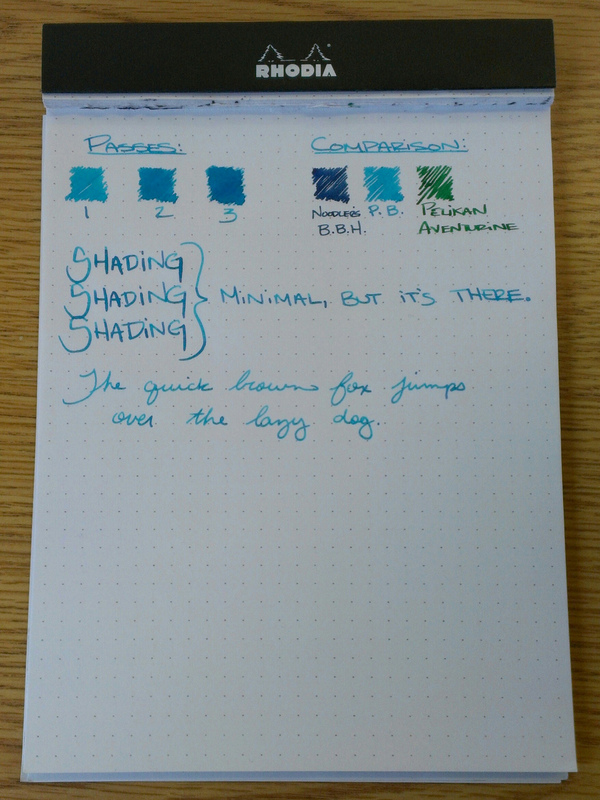 Also worth noting, I compared it below to Noodler’s Bad Blue Heron (B.B.H.) but I abbreviated it, so that’s what that is. Seriously though, try and get some of this stuff before it’s gone forever.